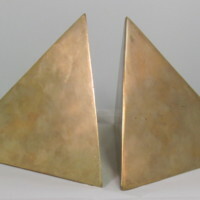 Pair of brass bookends made for the lobby at Trion Worlds, based on their original logo. 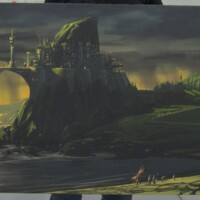 A mousepad with Rift Storm Legion art printed on it. 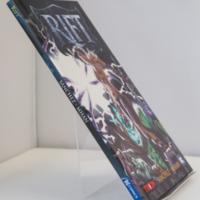 Hard bound comic book with history of Telara. 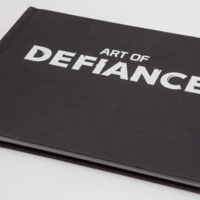 Hardbound book of artwork taken from Defiance. 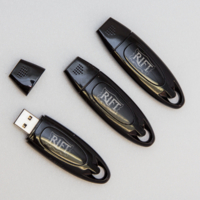 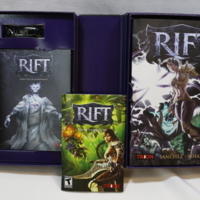 USB drives with the Rift logo. Distressed khaki. 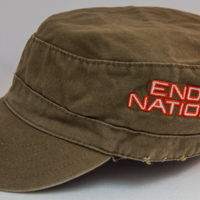 army-stye baseball cap with "End of Nations" embroidered on the side. 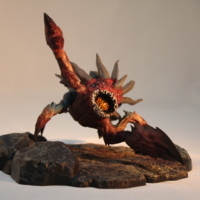 Hellbug figurine presented to Defiance launch team members; figurine covered in molded plastic.